How to master the art of resilience to achieve greatness and land your dream job(s)! This is a tale of stories. We interview extraordinary women from different corners of the world and deconstruct their professional experiences in the toughest and most desired labor markets around the world. 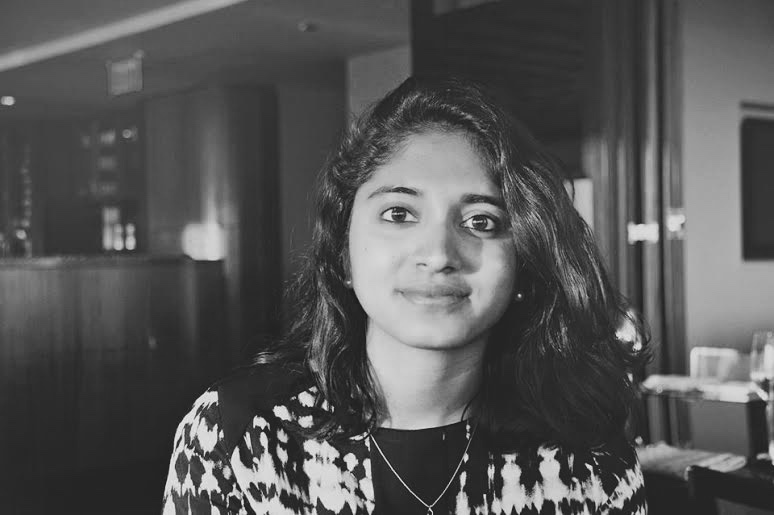 This time, we are happy to present Mishti, a young global leader with an impressive trajectory in the fields of economics, sustainability and international affairs.This post takes us into the fascinating world of Mishti! Our co-founder, Valentina, met Mishti while working at the UN Women Singapore National Committee. – How did you find a Job in NYC and at the United Nations and in Manila at the Asian Development Bank (ADB)? Do you have any particular strategies or steps which you applied to make this happen? I applied for the UN on the online system through their career portal, UN Careers, and got interviewed by two different offices . I ended up selected to work for the Secretary-General’s Envoy on Youth’s office. In my role as a UN Youth Representative for Caring for Cambodia, I was able to meet several individuals at the UN, allowing me to gain a better perspective about how the organisation works. Moreover, I met with the Youth Envoy in order to tell him more about CFC’s work in Cambodia and to hear about his insights on how to improve that work. After this meeting, I learned that there was an opportunity to intern at his office, which I seized immediately. With regards to my ADB role, I heard that the team was looking for a Marketing Manager. I have a blog series with a Media organisation that does a lot of work with the UN. One of the people I work with had a former colleague/friend who was at the same team at ADB and they were looking for someone so I had a few Skype conversations. -What nationalities/residence permits do you hold? For me, I think knowing what I want has made all the difference. I moved a lot growing up and the diversity of environments I lived, studied, and worked subconsciously fed my life ambitions. In fact, I have always considered my personal and professional plans to be one of the same. In other words, I consider my career pursuits to be my personal pursuits as well. Knowing what I want to do since a young age, that is to be a diplomat or international civil servant, has made all the difference in molding my perspective. I’ve had the great honor of living in such power cities like Washington, DC. In DC, I was able to study alongside motivated peers, gain mentorship from experts in international affairs, and have access to the world’s best think tanks and key international organisations like the World Bank and IMF. My passion for international affairs has only accelerated and grown in the last five years, with every experience offering something else valuable to my desires, my motivations, and my understanding of how our world works. My most formative experiences have been those that at first, seemed like distant possibilities. I seldom take no for an answer and if something is supposed to be competitive or hard to attain, I am usually even more motivated to try my best and apply. This philosophy has served me well. This isn’t to say I haven’t been rejected from opportunities I’ve applied for but rather, that my relentless determination to try has allowed me to be open to and have some phenomenal experiences. At work, I’ve used this habit to keep constantly trying in the face of difficulty as a means to truly appreciate my privileges in life. Additionally, learning from one’s peers and mentors is one of the best forms of education. So, in addition to working at an organisation whose purpose you truly believe in, it is equally important to work under and with individuals who are equally motivated if not more in making an impact. I can’t say I’ve given any one book as a gift but with regards to my own reading choices, I enjoyed the Harry Potter series growing up. I am presently reading (and thoroughly enjoying!) Invisible Cities by Italo Calvino, a gift from a dear Italian friend of mine. I am also a big fan of F. Scott Fitzgerald’s The Great Gatsby, Kerouac’s Satori in Paris, Frances Hodgson Burnett’s A Little Princess and finally, Interventions: A Life in War and Peace by Kofi Annan, a global leader I have always looked up to. Sharmishta Sivaramakrishnan is a Singaporean citizen and was raised across the Middle East, Europe, South and Southeast Asia. She likes to think of herself as “a citizen of worlds,” aptly phrased by Taiye Selasi and believes change to be the sole constant in her nomadic life. She is driven by new situations, people, and ideas. Additionally, she is the UN Youth Representative for Caring for Cambodia. Her life aspirations are focused on contributing to global governance in any way she can. Mishti graduated a semester early in December 2015 from the George Washington University’s Elliott School of International Affairs with a double major in International Affairs and Economics and a minor in Sustainability. During her undergraduate career, she pursued numerous internships, volunteerships and professional experiences in the public, private, and NGO sectors. Some organisations she’s had the opportunity to work at include the Council of Foreign Relations, UN Women Singapore, the Center for Strategic and International Studies, Ashoka Changemakers, Deloitte Singapore among others. She will be entering graduate school in Geneva at the Graduate Institute for International and Development Studies (IHEID) this September 2016 to pursue a Master’s in Development Studies with a focus in International Economics and Sustainability. 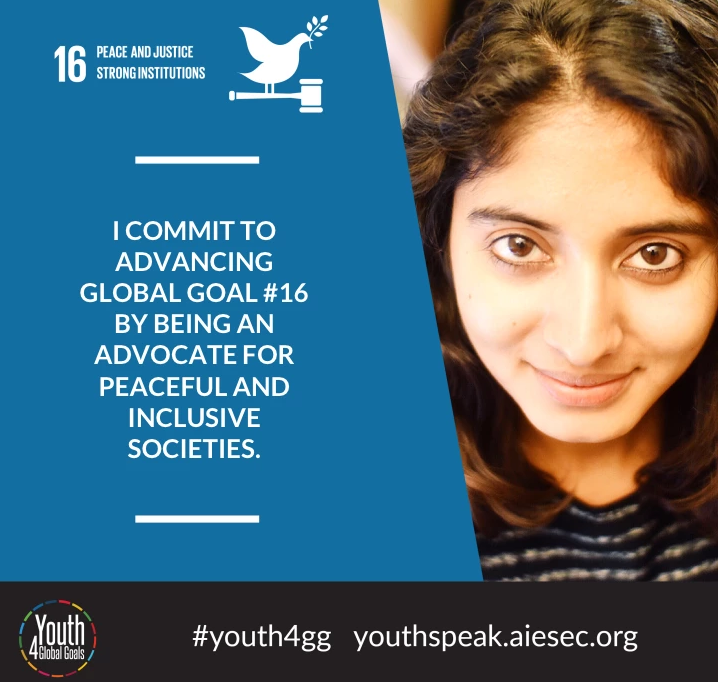 Mishti recently completed a four-month internship at the United Nations headquarters in New York at the Office of the Secretary General’s Envoy on Youth. This summer, she is a short-term Marketing Manager at the Asian Development Bank in Manila, Philippines and is also volunteering her time for some freelance work for UNICEF. In her leisure time, she enjoys listening to retro (and really, all kinds of) music, perambulating through global cities, refining her photography skills, and watching (as well as re-watching) indie films.